I almost used flowers from this plant last week, but they weren't quite mature enough yet. So I waited until this week, and pressed for time because of bad planning and (let's face it) laziness, I cut them quick and stuffed them in a small vase. They sprawl rather awkwardly but that's part of their charm, and I left the golden foliage intact, which meant I didn't have to cut any extra from anywhere else in the garden. I know technically it's now called Lamprocapnos, but I've always known it as Dicentra. It was one of the first plants I planted in the garden when we moved here. An old-fashioned favorite. 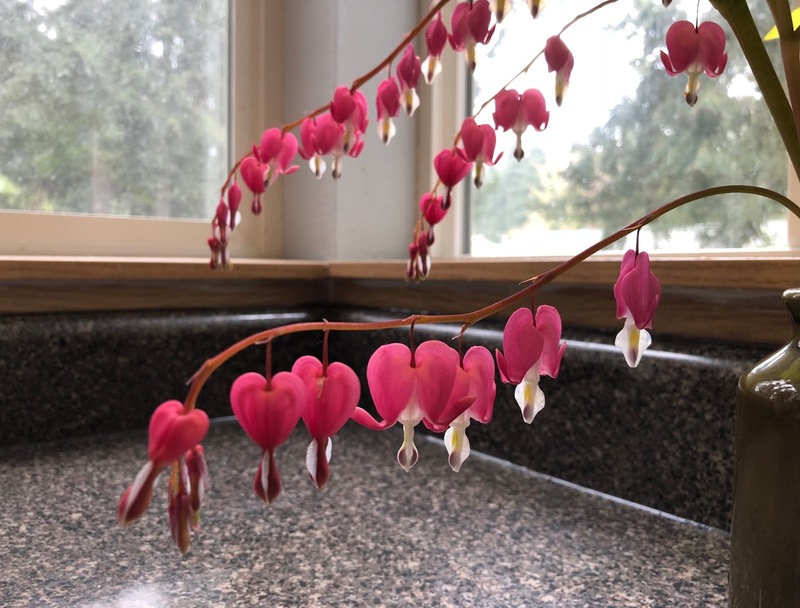 These blooms are little masterpieces and I'm glad you have them in the kitchen where you can enjoy them up close. These stems look really good draped over your counters. Very elegant and a lovely, bright shade of green. They look perfect with the foliage intact, very striking! So pretty. I've never picked mine to bring indoors. They just seemed too precious. That plant always looks wonderful, so decorative in its growth habit. I hate its new name; doesn't sound approprite for a plant with that structure. I think they look splendid. I will be curious to hear how long the foliage lasts. It has that “to good to be hardy” look about it. Many times the vases I put together quickly are the best.....this is gorgeous Alison! 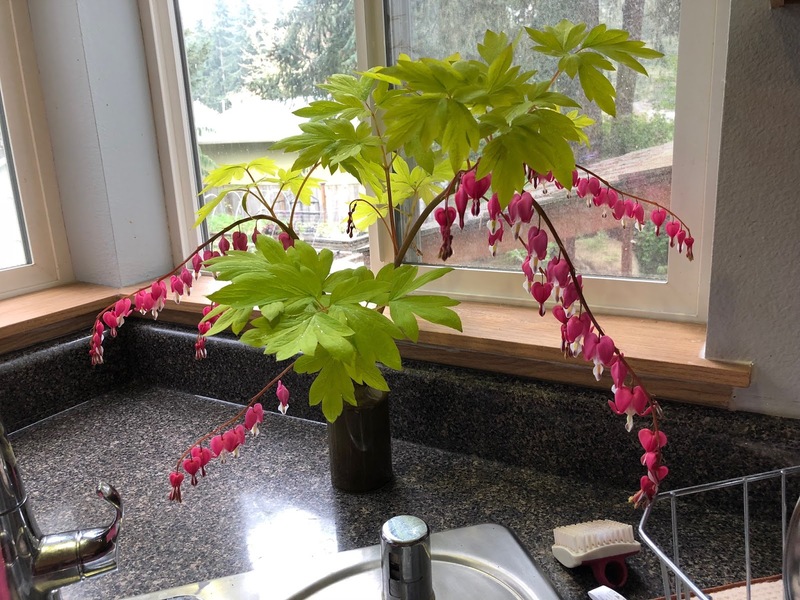 I love bleeding hearts, these are beautiful! Mine are just starting to emerge from the ground. Yeah, you remember MA weather! ;) It's been a cold spring, everything is way behind.